It is demoralizing that we have to fight our own state government to save wildlife. It is unethical that we have a Department of Natural Resources doling out hundreds of thousands of hunting and trapping licenses to kill the wildlife on our public lands, and not a single license is sold to protect even one animal. As a citizen born in this state and paying property taxes, I have zero rights to protect even the wildlife that lives on my land. I should be able to tag as many animals as any trapper or hunter each year — to allow them to live. • Democratize the funding and for the first time ensure fair, proportionate non-hunter citizen representation in all aspects of DNR-related boards and staffing. One idea is to legalize marijuana and use the revenue from taxes and licensing — “getting high on wildlife” — to replace funding generated by the killing of wildlife. Fair funding would give us all a stake, engaging the public in re-wilding, planting trees and prairies, and nurturing wildlife through difficult winters and climate change. • If the DNR is not to be reformed, create an alternative agency to represent the 90 percent of Wisconsin citizens who do not kill wildlife and who pay for our public lands and appreciate wildlife. • Create an alternative fair and transparent election of a wildlife-watcher advisory board run tied to the annual Conservation Congress elections in every county. Candidates should have open campaigns that discuss policy. • Encourage creative ideas from the 90 percent of the public — the non-hunters — who have been excluded since DNR inception. • Create an educational task force to design a program for kindergarten through high school students to learn about climate destruction and mass extinction and their causes. This world belongs to the children. They deserve to understand these challenges and contribute their ingenuity and insights. • Turn trappers and hunters into school educators. They can be paid to teach children to track, how to recognize where animals live, how they survive winter, what kind of habitat they need and how they tend their young. 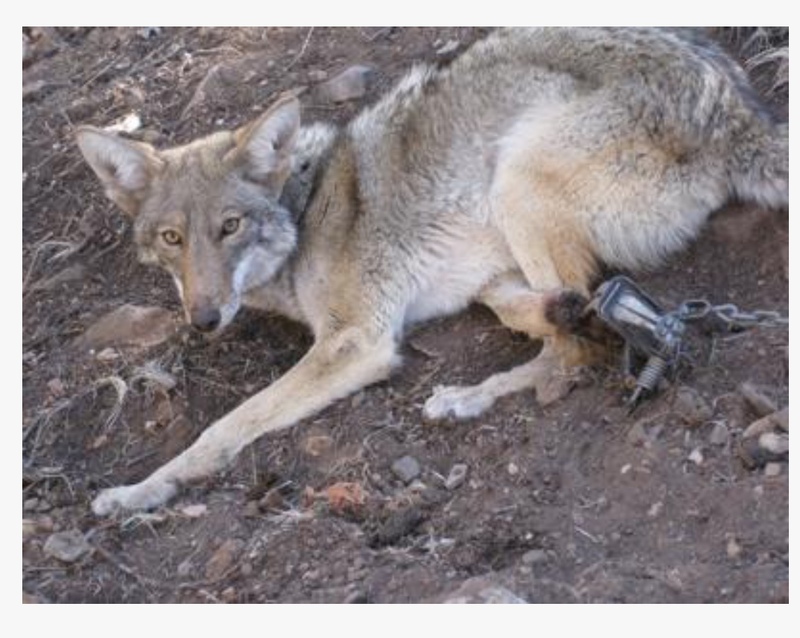 (Trappers are making little money from the hundreds of thousands of animals they kill in traps. According to DNR statistics, 7,482 trappers killed 347,436 wild animals in traps in 2017-18 and sold them on average for less than $5 per dead animal. Trappers killed on average 46 animals each for $230, but claim they spend $297/annually. Trappers set the rules for how many animals they can kill and estimate how many are left. It is a closed, self-serving, inaccurate system.) We can be creative and put their skills to work helping children appreciate the animals trappers have tormented. • End the use of lead shot and lead sinkers that are poisoning our wildlife. • End wildlife-killing contests. Last week, New Mexico State Land Commissioner Stephanie Garcia Richard signed an executive order banning wildlife killing contests for coyotes and other unprotected species on state trust lands, 9.5 million acres, as one of her first acts since taking office in January. Could our governor ban the killing contests going on right now in Wisconsin? • End wild and captive hounding and captive-hunting atrocities. • Engage trappers to install PVC pipes through the bottom of beaver dams instead of dynamiting dams. Trout and beaver co-evolved over millions of years. If beaver dams create flooding or warming waters, pipe at the bottom of the dam does not attract beavers to repair, and allows water to flow through. Pipes are 95 percent satisfactory where used, and are a cheap, easily installed, long-term solution to any people problems with beavers. Beavers provide habitat for half the rare and endangered species on earth. They are eco-heroes and water-purifiers. Gov. Evers has touted Wisconsin “values of kindness and respect, empathy and compassion, and integrity and civility.” He speaks of “turning the page on the tired politics of the past.” We, the majority, have suffered along with our wildlife. It is time this state evolves and leads on ending the war on the wildlife that bring health, beauty, innocence and balance to our world. Please contact Gov. Evers on this form to support these efforts for reform. He and his staff can also be reached at 608-267-6560 and emailed at EversInfo@wisconsin.gov. Please keep this contact information. One suggestion is to email him the links to my columns as they come out to start educating him about the plight of citizens who care about our wildlife and their suffering. They cannot speak for themselves. YOU are their voice. Please use your power often on their behalf. Endangered Species petition site is here with 13 petitions to save elephants, oceans, turtles, polar bears and more. This column was originally published in the Madison CapTimes on January 16, 2019. There were high hopes in those of us fighting climate change and extinction when former Superintendent of Schools Tony Evers won the Democratic nomination for governor. Evers described his campaign as “compassionate.” We hoped for respect for all life. This was a chance that we would begin the revolution we need to transform the Department of Natural Resources. Since its inception, the DNR has stacked the game, giving control of our lands and wildlife to those who do great harm and cause great suffering to wildlife. Follow the DNR’s money — primarily obtained from killing wildlife — to understand the power structure. We who love our wildlife demand that, for the first time, we be allowed representation in the agency, instead of having zero say. My hope for Tony Evers is that as an educator, he is educable. The Vatican met in February 2017 and pronounced biodiversity and climate destruction co-equal as urgent threats to the survival of humans and all life on this planet. Stanford’s renowned ecologist Paul Ehrlich spoke there: “The most recent Live Planet Index has estimated that wildlife abundance on the planet dropped by some 60 percent between 1970 and 2012. The transition team and governor-elect could heed the urgency to change direction from real scientists at major universities warning us that the status quo cannot stand. The “Call of Life” documentary and the “extinction website” containing hundreds of scientific articles could have compelled Evers to find a revolutionary figure — a compassionate steward of wildlife — to transform the DNR into a first-time democracy in response to crisis. Tony Evers cares about children. That means caring about and for a LIVING world — not sacrificing our wildlife to the usual patriarchal violence and torment that has been dominant for hundreds of years. • A recent biomass study of life on earth shows that 60 percent of mammals on earth are livestock, 36 percent are humans and only 4 percent of remaining biomass is wild mammals. • 60 percent of large mammals, which are being trophy-killed, face extinction right now. Bears, wolves, bobcats, and cougars are at token numbers. People get used to less and less wildlife and the baseline for each generation is reset. So 900 wolves with 3.5 million livestock and 5.8 million people in Wisconsin is touted as enough. It is not. Preston Cole, as a member and then chair of the Wisconsin Natural Resources Board, during the past decade has presided over massive cruelty and destruction of indigenous wildlife while prioritizing our state parks and public lands to serve hunters and trappers. He has been a willing part of a system biased toward hunter/farmer/developer control of our commons as a commodity for exploitation and private destruction in service to the few. Like Big Tobacco and Big Oil, Big Hunting and the NRA craft their supposed science to serve their own agenda and maintain control. Tony Evers’ appointment of Preston Cole is a wasted opportunity. If Gov. Evers takes time to understand this corrupt system, perhaps he can turn Cole upside down. • End trapping. End predator-killing contests. End persecution of coyotes, foxes, bobcats, bears and wolves. Wisconsin is plagued with lyme disease and chronic wasting disease because of killing off of predators. Natural predators balance and control mice and deer populations that are the main carriers of the lyme ticks. Trappers and hunters destroy that balance. • 18,122 beavers were trapped in body-gripping traps in 2017-18, sold for an average $8.98 per skin. Beavers are the most life-giving water-keepers on earth — creating habitat for half the rare and endangered species we are destroying. Trappers dynamite beaver dams on 2,000 miles of river systems designated as stocked, farmed “trout streams.” Life needs beavers. • End hounding. It is cruel and disruptive to all wildlife. Replace it with “humane hounding.” Britain has replaced the fox hunt, banned in 2004, with men on horseback and dogs chasing running humans. “There’s no fox torn to shreds and the people who get caught just get licked by a group of dogs.” This is brilliant. • Raise the age to start killing from any toddler to 18 to give children a chance to develop a moral compass before making such peer pressure decisions. Children should not be indoctrinated into killing. Gov. Evers has the chance to end great suffering and loss, but appointing Cole bodes more of the same tragedy. And we are way out of time. Please contact Gov. Evers at his transition team site and express concern for our wildlife and for reforming the DNR to be democratically funded rather than funded by hunting and gun fees. Let him know your experiences as a non-hunter at the so-called Conservation Congress annual election and vote. Support ending trapping and hounding and raising the age for hunting. You can contact them through their form here or eversinfo@wisconsin.gov and 608-267-2560. This post was originally published in the The Madison CapTimes on January 6, 2019. “(H)unting is my passion, killing is my obsession. Those of us that hunt, enjoy the hunt, but at the end of the day it’s the kill we want. Don’t be just a hunter. Be a killer.” ~ Steven Davis, killing contest participant. In the Dec. 12, 2018, article “A Death of Ethics: Is Hunting Destroying Itself?” lifelong hunter Todd Wilkinson calls out predator-killing contests and the methods of killing (any) that can be used on wolves, coyotes, mountain lions, bobcats, raccoons, and even crows and mourning doves. Hunters treat predators as worthless vermin. Predator-killing contests are held all over the country, including Wisconsin. The contests go on for days and hundreds of wildlife are killed to win prizes like guns and cash. Those who kill the most wildlife — the biggest, the fastest — win. There are at least 13 known predator-killing contests in Wisconsin, according to Project Coyote, and another 10 contests to kill raccoons, crows and mourning doves or other species. Project Coyote has created a documentary called “The Killing Games” to awaken the public to the urgent need to protect our vulnerable coyotes and predators. The trailer can be seen here. Moondog Madness advertises itself as a major Wisconsin coyote-killing contest. Their third kill fest was hosted by Mojoz Saloon in Cambria in 2017. Dates in 2019 are hosted by Silent Outdoors in Sparta and Recobs in Prairie du Sac. The dates are Jan. 4-6 and 18-20, with Feb. 1-3 the final killing spree in Cambria. Manipulating wildlife with distress calls of their babies exploits their natural love for their young and family, to draw them out for easy kills, often at night. Lights are used to blind and confuse the animals. This is not just condoned but enabled by the DNR and legislative policies that allow year-round persecution of coyotes using packs of dogs and semi-automatics, ATVs, snowmobiles, traps, snares. Anything goes. Hunting has devolved into the worst imaginable animal cruelty. Wilkinson makes the point that if deer or elk were treated this way, perpetrators would likely be charged using animal-cruelty laws. Trapping hundreds of thousands of wild animals is not gruesome enough for these wildlife haters — they want to experience a different adrenaline rush. Here is not an undercover video but a proud self-promotion by a hunter running over coyotes repeatedly with snowmobiles working in groups. Then he picks up a run-over coyote by the tail to swing him, bashing his head repeatedly against the snowmobile, then races off to run over other coyotes. The killing contests have expanded to add national killing contests in three regions of the United States. Over 50 North American scientists and more than 30 animal protection groups participate in National Coalition to End Wildlife Killing Contests, an effort by Project Coyote with the Humane Society of the United State. Dave Parsons, a retired career wildlife biologist with the U.S. Fish and Wildlife Service and Project Coyote Science Advisory Board member said: “These contests are symptomatic of a broader problem of misguided wildlife governance by state agencies that fails to recognize and value the crucial ecological roles of native predators. California banned killing contests in 2014 and Vermont followed in 2018. With all my fellow mortal animal being, I stand against these atrocities. But it is only you, Wisconsin citizens, who can end them. The Humane Society did an undercover study of a New Jersey killing contest, picturing men grinning in front of hanging dead foxes. The group is offering a toolkit for citizens to help. HSUS petition to states to end killing contests is here. Please contact the Tony Evers campaign to send them this column and request action to end killing contests, and request a humane appointment to secretary of the DNR: EversInfo@wisconsin.gov and 608-267-2560. The Wisconsin Department of Natural Resources and Republican legislative policies are making Wisconsin very sick. Chronic wasting disease now pervades 55 counties and has increased to 35 percent of adult bucks. According to the Wisconsin Department of Health Services, during 2017, Wisconsin reported setting a new milestone with 4,299 cases of Lyme disease. Wisconsin is the fourth-worst state in the country for Lyme disease, and dogs are also victims. Imbalance creates disease. Lacking natural predators, both chronic wasting and Lyme disease are spreading quickly in Wisconsin. Intensive trapping of midrange predators like coyotes, foxes and bobcats has caused an explosion of mice. 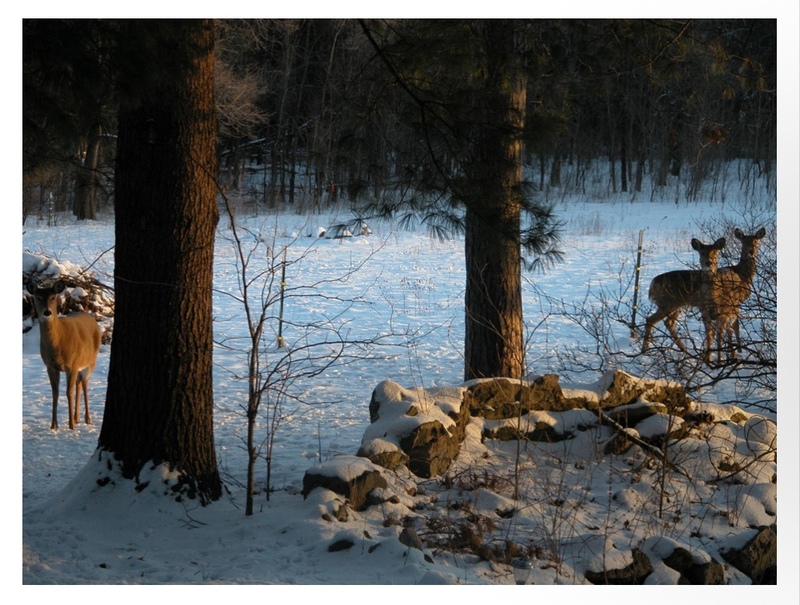 Deer are financial and political power for the DNR. Killing trophy bucks leaves the does to produce the next cannon fodder and keep the deer herd artificially high. Deer and mice are the main carriers of Lyme disease ticks. The “lowly” opossum is the keystone species in controlling ticks. Unlike mice and deer, opossums are fastidious groomers and vacuum up thousands of ticks each summer. 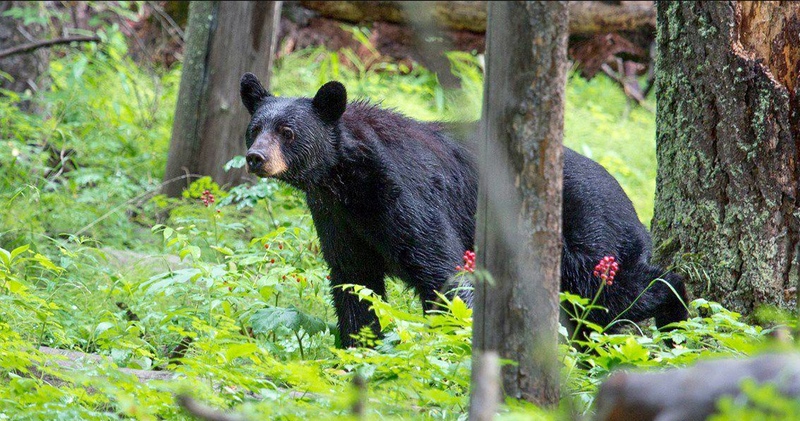 Bears, cougars, wolves and coyotes are absolutely necessary, in natural numbers, to control disease that can spread rapidly throughout wildlife populations, with some of them moving on to humans. The DNR approximates (from trapper self-reporting) that 7,482 licensed trappers actively trapped and 3,765 trappers also hunted furbearers during the 2017-18 season. Looking at what was reported, 327,650 Wisconsin wild animals suffered and died in traps in the seven-month trapping season, including 399 bobcats, 13,398 coyotes, 569 gray fox, 3,686 red fox, 1,510 otters, 223,936 muskrat, 54,664 raccoons, 18,122 beavers, and 15,112 possums. Additionally, 9,335 coyotes, 27 gray fox, 467 red fox, and 6,596 raccoons were hunted down. 4,500 bears were targeted using packs of dogs in 2018. 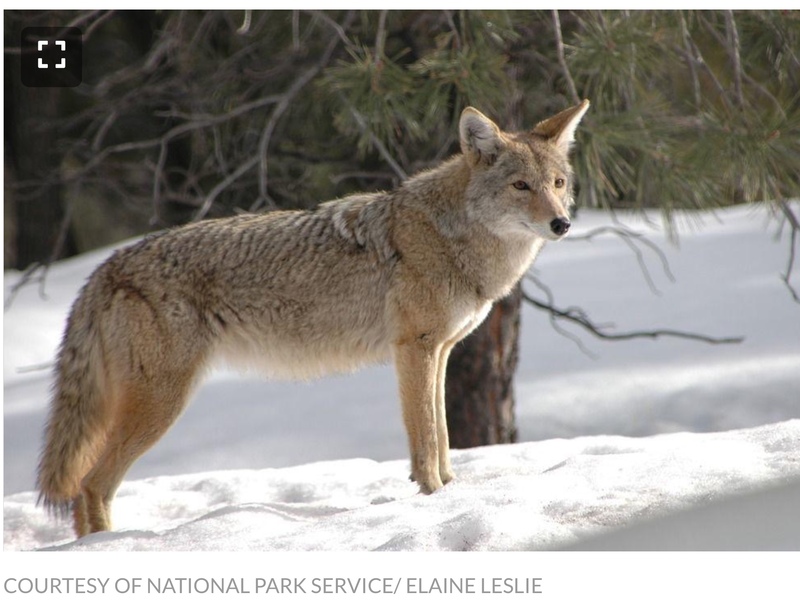 Those are OUR coyotes, foxes, bobcats, possums, bears and wolves — and we need them! • We have a right to safe use of public lands. • Trapping commercializes wildlife, profiting a few by indiscriminately trapping the many. • Trapping is one major cause of death to rare and threatened species we have the power to easily stop. • Traps and snares are indiscriminate. • Conibear are designed as quick kill traps, crushing the animal, such as a beaver, a dog, or a person’s limb. • Most species trapped are not required to be reported. • “Incidental” catches does not equate to acceptable and excusable. • A vote for trap-free public lands is a vote for conservation. A resolution to end trapping on public lands in Wisconsin passed in Dane County at the annual Conservation Congress election and vote last April. I am going to defend it in the land use committee Saturday, Dec. 1. Please contact committee chair Tom Johnston: 859-285-8978 and co-chair Lars Loberg: 715-273-5072 to urge that they act to protect our wildlife and citizens by ending trapping on our public lands. Please contact our senators and ask them to oppose any riders to delist wolves in the Great Lakes region. Scroll down to leave Sen. Tammy Baldwin a message here. Call Sen. Ron Johnson at 202-224-5323. Please sign this petition to protect gray wolves. There is a dramatic and long-overdue change coming to the governance of wildlife. If Wisconsin citizens contact the Tony Evers campaign, we may just be able to get our first humane secretary of the DNR, someone who represents the nonhunting majority of Wisconsin citizens. The emerging focus worldwide is on respecting the lives of individual animals and their safety and mobility. The new paradigm is one of peace and harmony, replacing the valuing of wildlife primarily for their death. Killing conserves nothing. The Centre for Compassionate Conservation (CfCC) was initiated at the University of Technology in Sydney, Australia, in 2013.
International conservation researchers held a conference in 2017 to explore new ethical solutions for wildlife conservation around the globe. “At a time when laws and policies towards biodiversity are being watered down, we need to prioritize finding ways to harmoniously coexist with the species we share the planet with,” said the director of the CfCC, associate professor Daniel Ramp. “Current practices in food production incur a great cost to biodiversity but this need not be the case,” Finbarr Horgan, terrestrial ecologist at CfCC, said. He focuses on the devastating effects of pesticides on our food and wildlife. Fred Pearce, UK-based science journalist and author of “The New Wild: Why Invasive Species Will Be Nature’s Salvation,” thinks outside of the box in celebrating nature’s wildness and capacity for change. Wisconsin has 5.8 million people and 3,350,000 cattle. The Republican-held Legislature is constantly trying to reinstate a trophy wolf kill of the estimated 900 rare wolves in Wisconsin. The population of wolves is leveling off and this year is estimated to be 2.2 percent lower than last year. The main causes of mortality are humans — road kill and illegal kills. Hatred of wolves has been fostered by Sen. Tom Tiffany, R-Hazelhurst, and Rep. Adam Jarchow, R-Clear Lake, and others in the Republican-gerrymandered Legislature. They favor prioritizing our commons for trophy and recreational wildlife killing. Cougar sightings in Wisconsin are very rare, but the Wisconsin DNR has a casual killing response to any natural predator. We may have a couple of these beautiful animals in the state, and they could not possibly know that all the cattle belong to farmers for profit, and all the deer belong to hunters for recreational killing. Are humans the only species allowed to eat on planet earth? It is time that all of us share nature, willingly, with other species and their needs. Contrast the DNR mindset with the educational approach that has been adopted effectively in Mumbai, India, urban population 22 million, one of the most densely populated cities on earth. From the article How City-dwelling Leopards Improve Human Health: “Leopards — about 40 of them — have been correlated with lower incidences of rabies, a disease that kills about 20,000 people in India every year.” The leopards roam the city nightly, emerging from neighboring Sanjay Gandhi National Park. They kill feral dogs carrying the disease. National Public Radio’s Super Cats Nature Series, Episode 3, shows how compassionate leopard conservation scientists educated the Mumbai residents to use nonlethal methods to protect their farm animals, children and themselves, to live side by side with leopards in a dense city ecosystem. Tony Evers ran a compassionate campaign. We need him to appoint a transformational secretary of the DNR to transition it to compassionate stewardship for the wildlife that weave the world together. It is a spiritual mandate. Mass extinction and climate change threaten us all. On Nov. 16, the House of Representatives passed H.R. 6784 — the Manage our Wolves Act. This bill would remove gray wolves from the Endangered Species Act and return wolves to states to hunt and trap in annual seasons. Urge Sens. Ron Johnson and Tammy Baldwin to oppose this legislation in the Senate. This column was originally published in the Madison CapTimes on November 18, 2018. This free event was held on Friday, Nov.9 at Art In. The keynote speaker was Bill Greendeer, who discussed the Ho-Chunk Nation’s Rights of Nature Constitutional Amendment. The film “Killing Games, Project Coyote and Dogs of War” by the Friends of Wisconsin Wolf and Wildlife was shown. The gallery was opened to view projects completed by indiginous and wildlife artists. The drama and division of our state, country and world politics are intensifying, and with them, an unending stream of gun violence is occurring. It is a distraction from the crisis of climate destruction and biodiversity and ecosystem worldwide collapse. We must face reality and get our priorities straight. If our world is to survive in anything like the abundance and beauty, diversity and magical vitality that humans need to survive, we must mobilize a state and global plan of unprecedented restorative action. Last week the World Wildlife Fund released its Living Planet Report. EARTH has lost a staggering 60 percent of its wildlife populations since 1970. “It described the global decline in species — an average rate of 13.6 percent every 10 years, or 60 percent in total — as a “grim” result of the pressure humans place on nature,” according to a news.com.au report on the study. It will not be Scott Walker or the Republicans who have that political will — just the opposite. Tony Evers is first and foremost a modest man who works to educate children and prepare them for what is going to be a very challenging life on a bereft and fast-changing planet. He and his running mate, Mandela Barnes, have run a decent and compassionate campaign. As an educator, Evers is educable. That means he is willing to learn about the challenges of reforming the state DNR to a healthy and democratic agency that stewards our public lands fairly for all citizens, including the wildlife we depend upon. Please read his plan and vote for him and Mandela Barnes. Polls show that people in this country really do support a bold progressive Democratic agenda. We can help in this crisis only if citizens VOTE. Scott Walker’s politics, like that of his buddy President Donald Trump, are petty and self-serving to the exclusion of any humble intent of “serving the people.” It is manipulation of the people for power. They appear to believe they have the right to rule and exploit the rest of us, including our wildlife and public lands. Walker apparently thinks that our attention span is so short and our vote so easy to buy that giving a measly one-time $100 tax credit for children can outweigh his long-term stripping of support for our public schools and university system. Meanwhile, Walker rolled out his showy Foxconn billions in taxpayer money as a giveaway to a foreign corporation with a spotty history. By the time that plays out and likely fails, Walker and his Republican cronies will be long gone to other political ambitions. His political machine panders to the special interests that exploit nature — sand-fracking, trappers and hunters and those who enjoy killing contests, siccing packs of dogs on captive and native wild animals, big agribusiness and its chemicals and poisons concentrated on our food systems. I live in the country and we have been barraged with large, glossy, full-color flyers with pictures of Tony Evers grayed out, trying to tie him to all sorts of horrific things. It turns my stomach that the governor’s campaign is trying to smear a good man. Ruthless negativity has traditionally worked citizens like putty. Fear-mongering and innuendo are well-used paths by the weak, mean-spirited and power-hungry. At just the wrong time, this critical time of ecosystem collapse worldwide, there is a rise of cruelty, repression and ignorance in man-made politics and power structures that may end life on this earth, including our own. There are laws of nature that cannot be denied. If you step off of a cliff, gravity will drop you to your death. If you warm the planet with fossil fuels, carbon and gas, you will not be able to grow food in a dust bowl. If you acidify, plasticize, and pollute the oceans and rivers, the life in them will not survive. If you wipe out the other species, you go extinct with them. Show up and vote Democratic. can sign up for The Guardian’s Green Light edition here. Email Madravenspeak@gmail.com with suggestions for a humane secretary of the DNR appointment. This column was orinally published in the Madison CapTimes on November 4, 2018. The Madravenspeak column, archived on The Capital Times website, in over 200 columns the past eight years has laid out the need for bold reform of the Wisconsin Department of Natural “Resources” — to change it from a private killing club to providing democratic, humane stewardship of the web of life upon which we depend. The agency will not reform from within. Therefore we, as citizens, must gather the resources and the public will to force change and democratize the state agency. Human health is compromised by damaged, imbalanced wildlife ecosystems. Most importantly, sentient beings much like ourselves have suffered under the boot of random, persistent killing for centuries. Their friends, their young, their elders cannot organize against continuous violence. They are killed with no consideration of the need for cultural continuity, family bonds, survival skills of orphaned young, wisdom of elders. They are disappearing from the earth or farmed with agricultural models (like deer and pheasants) specifically for killing. It is all compounded by the fast-changing climate disaster. With two-thirds of wildlife across the planet destroyed in just 50 years, “Humanity is ‘cutting down the tree of life,’ warn scientists.” The article in The Guardian states: “Humanity’s ongoing annihilation of wildlife is cutting down the tree of life, including the branch we are sitting on, according to a stark new analysis. “The new research calculates the total unique evolutionary history that has been lost as a result at a startling 2.5 (billion) years. “Furthermore, even if the destruction of wild areas, poaching and pollution were ended within 50 years and extinction rates fell back to natural levels, it would still take 5-7 million years for the natural world to recover. This is an emergency. We must start the recovery now. The Rewilding Institute not only issued a prescription — Wildlife Governance Reform: Where to Begin — but stated: “This problem has become so acute that wildlife conservationists recently decided they must try to do something about it. The result was a first-of-its-kind conference held in Albuquerque in mid-August: ‘Wildlife for All: Re-envisioning State Wildlife Governance. '” Twenty-one states participated. “In recent years it has become increasingly obvious that state wildlife governance needs significant reform – in all states, some more than others,” the document states. The second problem described in Rewilding Earth’s document is the federal lack of enforcement of the Endangered Species Act, bowing to state killing interests. The third item identified as a problem is not really a “problem” but an opening — the decline in hunting opens the political door to democratic funding and giving the 90 percent of citizens who are not hunters an opportunity for participation for the first time. Please look over the above resources. Send ideas for reform to Madravenspeak@gmail.com. • Humane DNR secretary appointment ideas — to shepherd a reform of the DNR to democratic representation, funding, and policies. • The funding proposed by hunters is a tax on dirty fuels. What healthy funding sources could represent all citizens in governing our public lands, waterways, and wildlife for protection and reparation of the centuries of damage done to our wild brothers and sisters? • What humane education strategies could be employed to teach children to know and treasure wild creatures, learn their needs and restore habitat, plant trees and prairies? Restore beavers and wetland habitat to stem drought and flooding?